More About the CTMH Art Philosophy Cricut Cartridge Bundle - and video! Hi, this is Lena again! 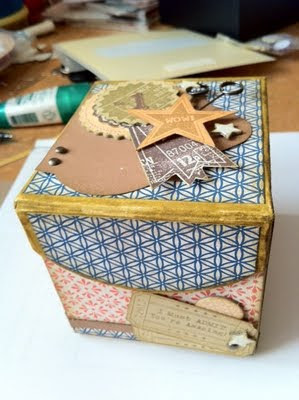 Today I’d like to share a couple of pictures of an altered box I made using the CTMH Cricut Art Philosophy cartridge and a stamp set that contains some images that also coordinate with some of the die cuts on the Cricut cartridge. The tickets, the star, and the No.1 pieces were all stamped on a coordinating die cut from the Cricut Art Philosophy cartridge. Below, here are two more close-ups of the altered box. Also, as mentioned in the video, since Glenda (as always!!) has been very generous by giving me the opportunity to guest blog on her site, I'm offering a $10.00 discount for the CTMH Cricut Art Philosophy Bundle for all of Glenda's customers and her blog readers, which will bring your price for the CTMH Cricut Bundle down to just $89.00 (plus taxes and shipping)!!! You can also read about all the current fabulous CTMH specials for August and September in the previous post HERE. To place any orders, or if I can answer any questions for you about the CTMH Cricut Art Philosophy Bundle or anything else regarding CTMH, please email me at bradshawmath@yahoo.com . Glenda, thanks again for letting me reach out to your Customers and Followers!! New CTMH Art Philosophy Cricut Bundle!! Hi! My name is Lena Bradshaw and as a Close to My Heart (CTMH) consultant, I would like to tell you about our new exclusive CTMH Cricut cartridge available beginning August 1, 2011. The cartridge is called Art Philosophy and is packed with 700 images!! The 700 images include a font, elegant rosettes, lacey patterns, gift boxes and more! The best part is that this CTMH Art Philosophy Cricut cartridge is being sold in a bundle which includes: 3 coordinating My Acrylix D-Size stamp sets (MSRP: $17.95 each), along with 3 coordinating 9” x 12” dimensional elements sheets (MSRP: $4.95 each). In fact, the stamps sets include the measurements right on the packaging (on the stamp’s carrier sheet!!) so you will always know exactly what size to die cut your image with your Cricut so that you can then stamp your image perfectly onto your die cut. 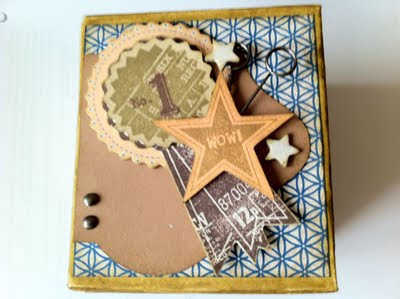 Even the dimensional elements (white coated chipboard elements) can be inked directly with your stamp pads, stamped, or even covered with other assorted papers using your Cricut to again cut out the perfect size, so that you can directly apply your paper to the chipboard elements. You may also be wondering whether any of our other stamp sets will coordinate with the Art Philosophy cartridge and the answer is YES! Our other stamp sets which include stamps that also match up with images on the Art Philosophy Cricut cartridge are indicated in the CTMH catalog in the same manner as the stamp sets that are included as part of the Cricut bundle. Just like the sets in the bundle, if you buy a stamp set that has a stamp (or stamps!) which coordinate with an Art Philosophy cartridge image, the size that you should cut out your image with your Cricut is indicated right on the packaging. There is no guesswork involved! And since our CTMH stamps are made from photo polymer materials (clear stamps), that means it is super simple to see exactly where you are stamping your images onto your Cricut die-cut. Imagine making invitations where you could just have your Cricut machine cut exactly what you need in the perfect size (which is indicated for you!) and all you have to do is to then stamp the matching images---and all the sizes are perfectly matched up for you!!!!!!! Even if you just want to make one card or scrapbook layout, or you could make 3D flowers in the colors and patterns that you want (how about making your own bouquet of flowers?) and again, because your paper is already cut out to the perfect size for the matching stamp, it just makes things all those things so much easier for you to accomplish in much less time. You’ll also be able to create custom boxes for gifts, other home décor items and much, much more with this beautiful cartridge. This bundle (which includes the Art Philosophy Cricut Cartridge, along with 3 coordinating My Acrylix D-size stamps and 3 coordinating 9” x 12” dimensional elements sheets) is just $99.00!!!!! (Taxes and shipping/handling charges apply.) If you don’t already have a CTMH consultant and would like to order this bundle, or if you have more questions regarding CTMH products, please feel free to contact me at: bradshawmath@yahoo.com and please include “CTMH” in the email subject line. Also, I want to also give you an overview of some of the other specials for the month of August……..
Special Offer #1: From August 1 through 31, 2011, if you spend $50.00 or more in CTMH products (Studio J is not eligible) you can purchase the Stamp of the Month, which is named “Wicked” (My Acrylix D-Size), for just $5.00 and as a bonus, you will also receive a FREE bonus stamp set (My Acrylix A “Typeface”). See the photos below. Special Offer #2: From August 15 through September 30, 2011, CTMH is celebrating National Stamp Month by offering a free exclusive My Acrylix “Pair-a-Phrase” double stamp set when you place an order of $75.00 or more during this time period. The retail value of this stamp set is $35.90, but it is yours free during this time period with a $75.00 or more purchase. When this new CTMH Cricut bundle was first unveiled at our recent CTMH Convention, as a fellow Cricut user and enthusiast myself, as well as a long-time member of the Cricut Message Board and a Charter member of the Cricut Circle, I was absolutely thrilled with the cartridge images. When I first saw all the beautiful and extremely useful images on the CTMH Art Philosophy cartridge, I was already sold!!! Then when I saw the coordinating stamps which take the guesswork out of trying to figure out what size to cut-out your matching image on your Cricut, I was amazed (how SMART is this??!!). But then, when I saw that in addition to all of that, there were also 3 large coordinating dimensional elements sheets (which are also already sized for you!!) included in this bundle as well, I was absolutely over the top with happiness and with pride for what my company, CTMH and Provo Craft had managed to create together. 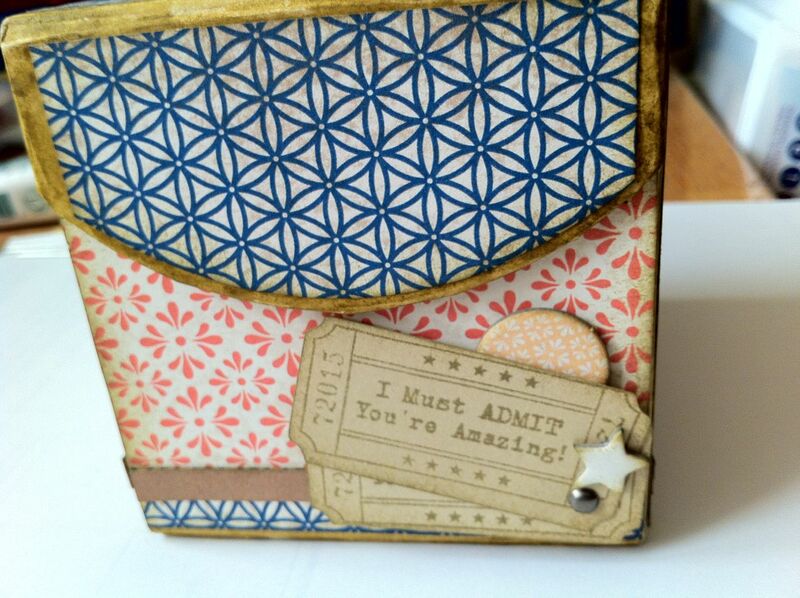 It is simply the most well-thought-out Cricut cartridge and coordinating products that I think I’ve ever seen!! It is a perfect bundle of products for any Cricut user, from the beginner to the advanced user. I absolutely can’t wait to see all the amazing projects that the creative Cricut community is going to create with this new CTMH Art Philosophy Cricut cartridge bundle!! To recap, in order to receive your CTMH Art Philosophy Cricut cartridge bundle (which includes the 3 coordinating sets of stamps, along with 3 coordinating sets of dimensional elements sheets), as well as the special offers outlined above, please contact me, Lena Bradshaw, at bradshawmath@yahoo.com . Please put “CTMH” in your email’s subject line and please be sure to tell me which Special Offer you want (#1 or #2). If you have any other questions about the CTMH Art Philosophy Cricut bundle, please feel free to contact me by email. Last, I want to thank my good friend (and my favorite scrapbook and paper-crafting supplier!!) Glenda, from Glenda’s Creative Place, for offering this space on her site so that I could get the details out to all her Followers, Subscribers and (fellow) customers about this amazing new CTMH Cricut bundle!! Because she really does care about all of us, Glenda wanted to make sure that all of you knew how to best optimize your purchase of this new CTMH Art Philosophy Cricut cartridge bundle in order to get the most amount of products possible!! Thanks so much Glenda for letting me share this information!! !